You might be wondering where C.S. Lewis wrote on blogging and tweeting. As far as I know Lewis didn’t write anything specifically on these two subjects, but he did write on writing. When I read these tips online recently, I was impressed by their relevance for blog posts and tweets. 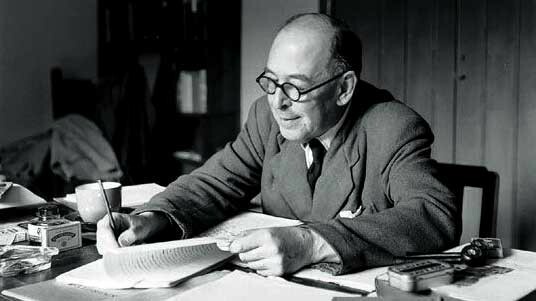 These tips originally came from a letter Lewis wrote to an American girl named Joan, and can be found today published in the book C. S. Lewis’ Letters to Children. Great advice for writing in general and for writing blog posts, but this is essential on Twitter. You’ve only got 140 characters. Make them count and make them clear. One of the benefits of using Twitter is that it forces you to distill a thought down to its central big idea. Know your medium. Writing in a more down-to-earth style generally suits a blog. Plain and direct will help you connect better with your readers. And not only will they understand what you wrote, they’ll have enjoyed reading it. There’s some huge Twisdom (Twitter wisdom) here as well. The word “keep” is so much shorter than “implement.” Big words cost more on Twitter. With so much information coming at us from every digital outpost, it’s more important than ever for you to be able to clearly tell us what you want to say, and to say it straight. There isn’t enough time to decode the poetic language you’ve used to dress up your blog post. Tweets go by so fast that if they’re not understood the first time, they’ll likely not been seen a second time. I believed a lie for a long time: to write intelligently you needed to sound intelligent. Garbage. What that lie really says is this: if you want people to think you’re intelligent write in a way no one can understand. That doesn’t make you intelligent, it makes you a bad writer. Take the time to consider who your blogging audience is, and then write for them. Write for people, not for professors. Unless of course you’re actually writing for professors. Here are two other writing tips Lewis included in that letter which I felt were less applicable for the average blog post or tweet, yet still worth reading. I was told something very similar when I was taking a class on preaching. I’d think of it every time I would tell my hearers to “be thankful” or to “worship God”. Why was I having to say that? Shouldn’t the words in my sermon have led them to a response of thankfulness and a desire to worship? This bonus writing tip was infinitely better than the first one, right? Originally published at Nathan W. Bingham | Connecting in a Hyper-Connected World.